New York is feeling itself. Its... 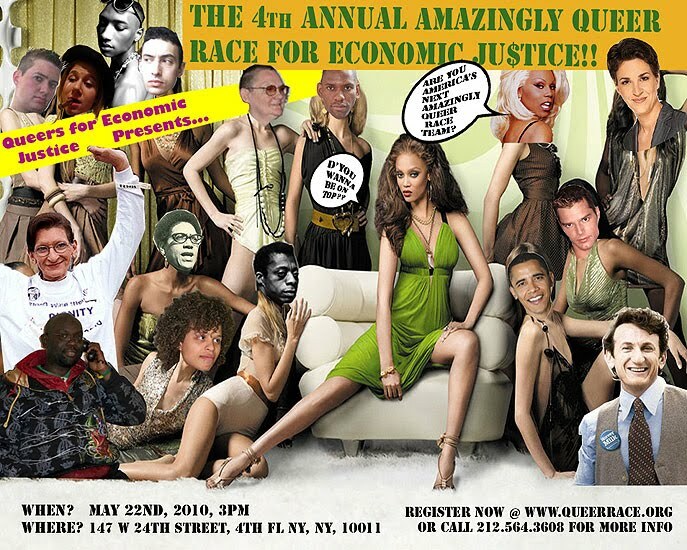 The 4th Annual Amazingly Queer Race for Economic Justice!!! Registration is open now. But don't delay! Go to www.queerrace.org to sign-up. And please join us on May 22nd, in our spanking new office at 147 W 24th Street for the kick-off. Don't miss the Race this year. It's going to be queer... And Amazing! !